August 22, 2008 - LOVES PARK, Ill. – Jason James hasn’t gone from the batter’s box back to the dugout in more than two days. 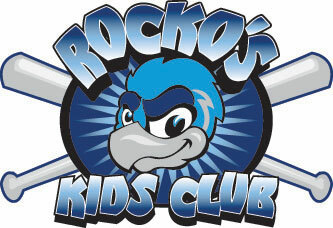 James had his second straight perfect game at the plate on Friday, when he was 4-for-4 with a home run, a double and a walk as the Rockford RiverHawks beat Chillicothe, 10-5. Matt Mazurek added a career-best 4-for-5, four-RBI performance, in front of a sellout crowd of 3,511 at Road Ranger Stadium. James has eight hits in his last eight official at-bats and has reached base in each of his last 11 plate appearances. Both streaks go back to Wednesday, when James singled in the ninth inning and scored the winning run in a 4-3 walkoff win against Florence. That started a three-game winning streak. James has not been retired since a seventh-inning groundout on Wednesday. James, who leads the Frontier League with a .364 average and 121 base hits, is two short of the team’s single-season hits record, set by Olmo Rosario in 2005. The Paints scored four times with two outs in the third inning to take a 5-2 lead. Drew Saylor doubled in two, Zach Rodeghero doubled in a run and scored on Gerardo Verastegui’s single. The RiverHawks rallied on a Brandon Cohen RBI double in the third and a Boe Baitinger RBI double in the fourth. James tied the score at 5-5 with a RBI single in the sixth inning. In the seventh, Marty Wiesler (6-2) walked Baitinger, who stole second, and gave up a go-ahead RBI double to Mazurek. Rockford put the game away with four runs in the eighth inning. James led off with his 11th home run of the season and with two outs, Mazurek singled home two. Joe Anthonsen followed with a RBI single. The Rockford bullpen combined for six scoreless innings. Matt Enderle (4-2) scattered three hits over four innings for the win. James Cramphin retired all six he faced for his eighth save. The series continues at 7:05 p.m. Saturday. It’s Rock Valley College/WIFR RiverHawks Fleece Blanket Night.